Adrian, Lucy and Paula are all young adults now, in their twenties, and working. Adrian went away to study at university and then returned home. Lucy and Paula went to local colleges and university, living at home and travelling to lectures. Both girls still live with me and help with the fostering. They both have steady boyfriends who are nice young men. Lucy still sees Bonnie occasionally. When Bonnie is in the area she telephones Lucy and they meet, usually for lunch. Lucy always calls her Bonnie and me Mum. Lucy isn’t in contact with any other members of her natural family and has no wish to trace them. Adrian and Paula still see their father occasionally and now they are adults they make their own arrangements to meet him. He has remarried, I have not. I haven’t ruled out the possibility but I have yet to meet the right man, who would be willing to embrace fostering as well as me. Lucy still has Mr Bunny and her life story book. She updated it for the last time when the adoption order came through. Now she has us there is no need for her to keep a life story book as we are her living memory. She collects and keeps photographs as Adrian and Paula do. 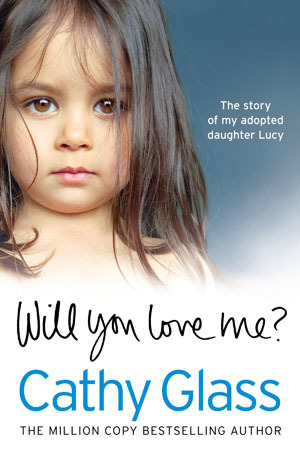 Lucy’s story could have a happy ending but it could so easily have been different. Policy and priorities need to change so that every child has a permanent family of their own as soon as possible. I am very proud of all of my children not only for what they have achieved but also for the people they have become.